We got an interesting response to our last post. 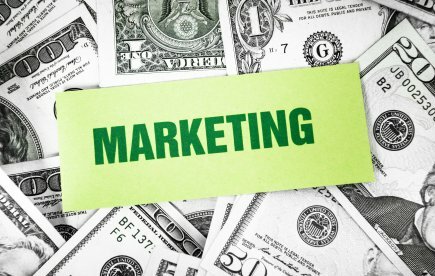 One of our customers asked: “How much should I be spending on marketing?” She mentioned a statistic she’d read in one of her industry’s journals, which said that the average in the industry was somewhere between 6-8% of total revenue. It’s important to understand that an average is just an average, in this case, reflecting how much is being spent, not how much should be spent. A better way to set your budget is from the bottom up, as opposed to the top down. Here’s what that means. You start the process by setting your goals. Then you ask yourself what it will take to accomplish those goals. That you calculate the cost of what it will take, and that’s what your budget needs to be. Here’s an example. You want to grow your sales by $100,000. You think you can accomplish that with a year-long direct mail program. That program will cost $22,000, so that’s what you have to budget. What if you can’t afford to spend $22,000? Then you have to determine what you can spend. And then, you have to adjust your goal accordingly. For the sake of discussion, let’s say that you can afford to spend $15,000, roughly 2/3 of what you thought it would take to increase sales by $100,000. Do you see how 2/3 of $100,000 would now be a more reasonable goal? That raises another question. Would spending $15000 to increase sales by $66,666 be a good return on investment? That’s a topic for another day!